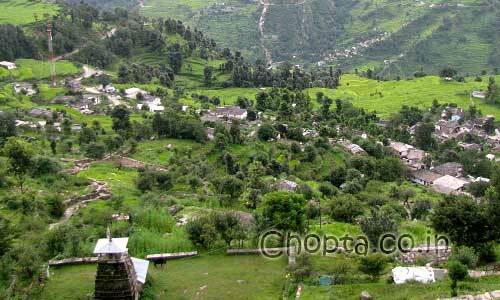 Sari village is situated in Rudraprayag district near Ukhimath at a height of 6554 feet. It is very small and a remote village in Uttrakhand India. It is the base camp for a very beautiful lake Deorial Tal. Deoria Tal is only 2 kilometers trek from here. 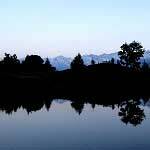 Deoria Tal is at a height of 7800 feet. 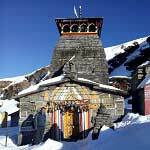 The importance of Sari village is that it is the base camp for Deoria Tal and it can be used as base for trek to Tungnath Temple and Chopta as well as Chopta is accessible from Sari by road. This road journey is very romenic and you come across very beautiful bhugyals (meadows). 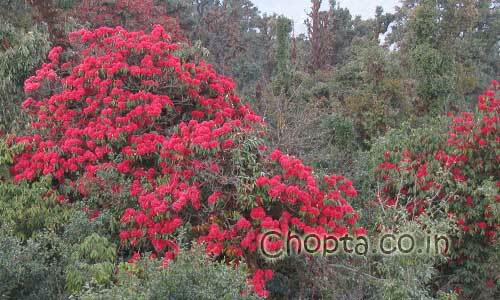 It takes only one to two hours from sari to Chopta by road. Many a times when all the hotels in Chopta are closed due to snow fall you can use Sari as a base camp. 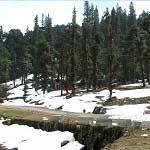 In sari there are no hotels but you can find a few lodges or home stay, but still you can prefer Sari over hotels in Chopta as these lodges are better than Chopta hotels. 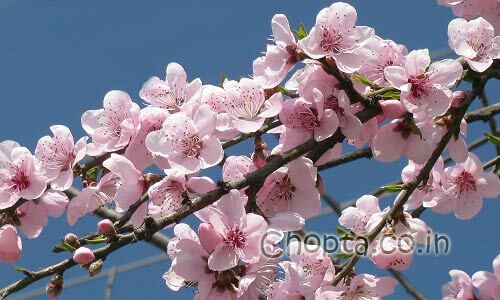 You can find beautiful Apple and Peach orchids in the village. Tourism and farming is the main source of income of the local villagers. The village is located amid dense forest of Oak and Rhododendron trees. 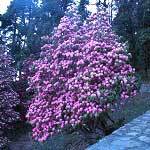 You can find some beautiful Rhododendron trees with full of flowers on your trek to Deoria Tal and at Deoria Tal if you visit here during February and March. Peach Flowers in Sari Village. The village is not near to any market and the nearest market is Ukhimath. If you are going there you should take all essential items with you and if you have forgotten to take something important you can buy that from Ukhimath. If you go there once you will definitely want to stay here forever provided you are a nature lover.